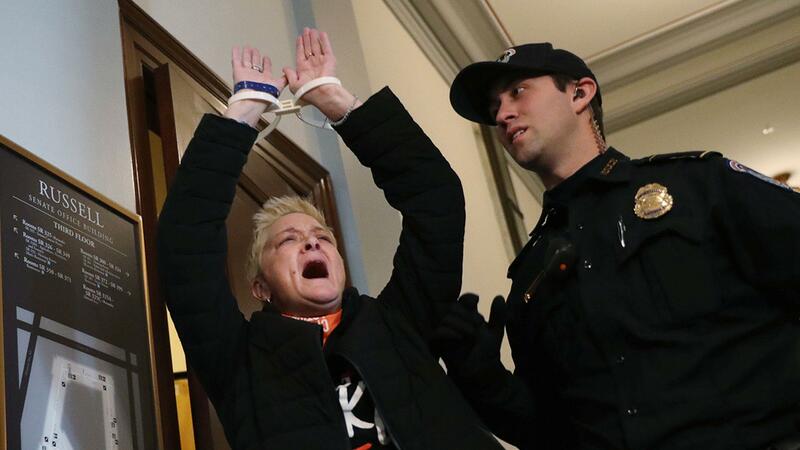 After the silent protest, a smaller number led by unions staged a sit-in at Senate Majority Leader Mitch McConnell’s office; a dozen or so were arrested. The grievances and harms are abundantly clear: some of the furloughed workers desperately want to do their jobs; all of them want to be paid. Beyond the individual harms to 800,000 workers, the shutdown is hurting Americans who want to visit museums, file taxes, navigate security lines, and eat safe food. Beyond tomorrow’s inconveniences, stalled government does longterm damage to America. Five former Secretaries of the Department of Homeland Security, including recently “retired” John Kelly, submitted an open letter emphasizing the damages, asking Congress and the President to open the government immediately. Representatives from the FBI and the Coast Guard also emphasized the short and longterm costs of the shutdown, making similar demands. No visible impact so far. At The New York Times, David Leonhardt says the shutdown reflects the weakness of the Trump Resistance. He may be right. Thus far, the protests against the shutdown have mostly been separate from the larger campaign against the president. The vast majority of the visible protests avoid taking sides in the political battle. On the surface, in government the fight is about funding a border wall: Speaker Nancy Pelosi and the House Democrats press for opening the government and commencing negotiations on border security; Donald Trump demands that the wall be funded before the government can open again. Protests that denounce the failure to cooperate give neither side the incentive to adopt new approaches. Indeed, when the rest of the alert public is quick to take partisan sides on the issue, failing to assert blame is a critical weakness. The shutdown will end when one side recognizes that its position is politically costly. I can understand why organizers seeking a quick resolution are reluctant to risk making an end to the shutdown a partisan issue, but politics, movement and otherwise, is about assigning blame and responsibility. Failing to do so is…..irresponsible. This entry was posted in Uncategorized and tagged blame, budget, Congress, Donald Trump, immigration, Mitch McConnell, resistance, responsibility, shutdown, unions, wall. Bookmark the permalink.